A man awakens in a filthy bedroom with no recollection of who he is or how he got there. Seeing an old Gideon bible on a nightstand, he finds a name to call his own - Temple. 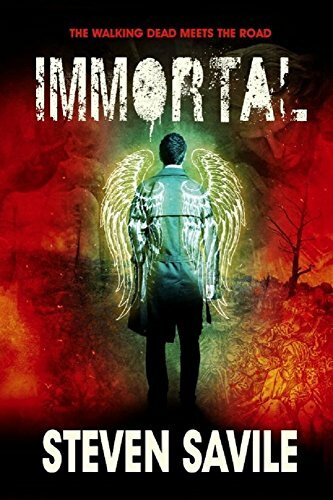 IMMORTAL is the story of Temple's quest for identity and purpose in a dying, decaying world. He is no romantic knight, no Sir Gawain, he has no sword and no armour, and in this broken world no one he can trust. He turns his back on everyone and everything as he embarks upon the quest for his own Holy Grail, and tempted by demons and gods every step of the way, he must confront the terrible truth about who he is and how he came to wake up in that damned hotel room.